Finding even a small amount of success in music takes not only sacrifice, but also a whole lot of pain. Everything from the hours of practice it takes to get a certain part of a song just right, to the spinal reconstruction you’ll want after sleeping on floors night after night on tour, to the sting of rejection after rejection while trying to get your music out there, can be especially painful. But generally, we associate these hard-fought, music-related hurts as being emotional more than physical. In light of this, today we’re highlighting five occasions where musicians suffered painful physical on-stage injuries and somehow managed to keep it together, playing through them all — and we’re not just talking about funny slips and falls either. So let’s get to the gore! At an Auckland, New Zealand show in 2012, one of Lady Gaga’s male backup dancers accidentally bashed the pop icon in the head with a metal prop piece. Leaving the stage to assess the damage, Gaga soon returned and told the audience, “I want to apologize, I did hit my head and I think I may have a concussion. But don’t you worry, I will finish this show.” She went on to perform a whopping sixteen songs afterward! Videos of the incident later showed her staggering and rubbing her head, continuing to sing as she wandered backstage. More like “Born This Cray,” amirite??? Technology has a dark side, and singer Enrique Iglesias knows this better than most. In 2015, at a show in Tijuana, Mexico, Iglesias reached out to grab a flying camera drone to film the audience, a crowd-pleasing trick he’d done many times before. But when the singer grabbed the wrong part of the drone, fast-moving metal propellers severely cut his fingers — so badly that it immediately fractured his hand. Though he heroically returned to finish the show with a t-shirt wrapped around the bloody wound, the incident left Iglesias needing reconstructive surgery and he’s still unable to feel the affected fingers to this day. Zappa wasn’t injured that night. One week later, however, the band kept going with newly rented equiptment, and arrived in London to play another gig. There, Zappa was met on stage by a disgruntled audience member claiming he was “eyeing his girlfriend.” The fan pushed Zappa off the stage and onto the concrete orchestra pit floor. The near-fatal fall caused him to incur a crushed larynx (forever altering his singing voice), multiple fractures, and head trauma. Talk about bad luck. You probably already knew that Killer Mike is a poet, political activist, and rapper. But after a 2015 SXSW showcase for Spotify, we can add “noble bodyguard” and “bandmate protector” to that list. At the packed show, a fan somehow made it on stage and tried to attack El-P, the other half of Run the Jewels. Killer Mike stepped in to protect his bandmate and his shoulder was badly torn during the scuffle. After finishing the show, doctors urged him to cancel the rest of the tour, but Killer Mike refused, tweeting, “Doctor, I’m not leaving the road.” The big takeaway here is that Killer Mike is someone you really want to be in your band — and someone you really don’t wanna mess with. And last but not least, how could we have an article about on-stage injuries without mentioning Dave Grohl? The former Nirvana drummer and Foo Fighters frontman was already a legend, but after a 2015 show in Sweden, things shot up to a whole other level. Grohl fell off the stage and calmly told the audience he had just broken his leg. While he was being taken care of backstage, the rest of the band played covers until Grohl reappeared a short time later. “I may not be able to walk or run but I can still play guitar and scream,” he told the crowd before finishing the set. … And then, when he finally returned to the stage, the band played Queen and David Bowie’s classic, “Under Pressure” to welcome him back. Not one to back down, Grohl finished the entire tour performing seated, on a throne made of guitars. This one’s a bonus because Krist Novoselic didn’t exactly play through his horrific on-stage injury, but the rest of his band kinda did so we’re counting it. This infamous 1992 “bass toss” is just too weird and noteworthy not to appear on this list. During a performance of “Lithium” at the MTV Music Awards, out of frustration with the poor stage setup, or possibly just grungey boredom, the Nirvana bassist threw his bass 25 feet up in the air. It was a stage trick Novoselic had done for years, except this time the bass landed right on his head, which knocked him out. In a 2008 article, Novoselic claimed that he faked being knocked out, and that Brian May of Queen was waiting backstage with a glass of champagne for him. 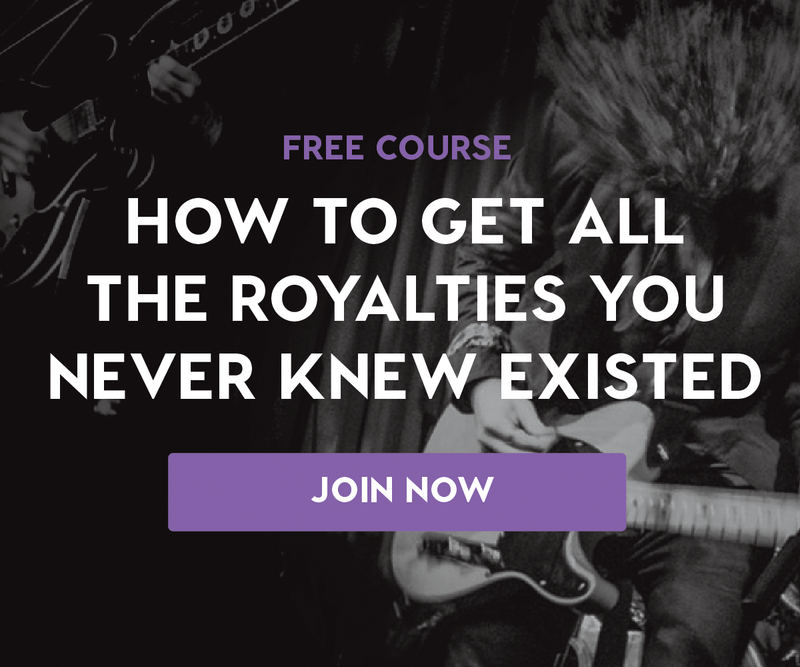 This list gives new meaning to the term, “hustle.” Take the next steps in advancing your music career with Soundfly’s curated Hustle series of articles and popular online course offerings on topics like how to book a tour on a shoestring, how to get all the royalties you never knew existed, and how to let your fans fund your next music project!